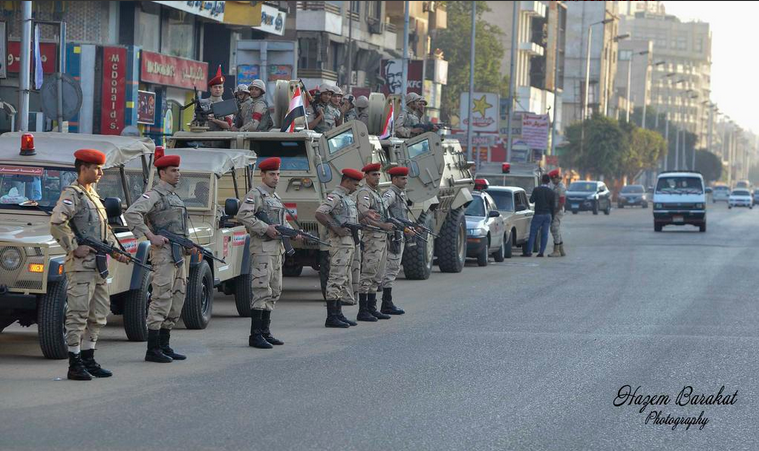 Military forces deployed on Cairo’s streets. Credit: Hazem Barakat. At least one protester has been killed and 20 injured during clashes with security forces in Al-Matareya, reported Egypt’s Ministry of Health. 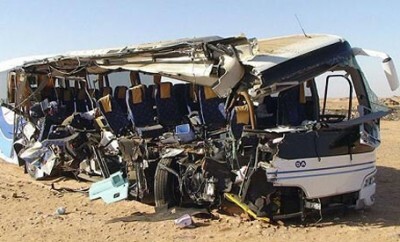 Meanwhile, two members of Egypt’s military were also killed in separate incidents. Egypt’s police report that Muslim Brotherhood supporters opened fire on security forces, leading to the dispersal of the demonstrators. However, the Muslim Brotherhood’s social media accounts have said that security forces randomly opened fire on a peaceful demonstration. Following the death of the protester, special forces were deployed to Al-Matareya and the suburb’s square was shut down by security forces. A man was also arrested after throwing a bomb from October 6 Bridge onto Abdel Moneim Riyadh Square in downtown Cairo, said the Ministry of Interior, adding that no one was injured in the attack. Earlier in the day, a brigadier-general was killed in Gesr Al-Suez in Cairo after unidentified gunmen opened fire on a military checkpoint. Two other soldiers were also injured. A second soldier was meanwhile killed in Ain Shams during demonstrations held by those heeding the call to protest by the Salafist front. Meanwhile, in Sharqiya, at least six were injured after a homemade explosive detonated including three police officers, two security personnel, and a child were among those injured reported Aswat Masriya. 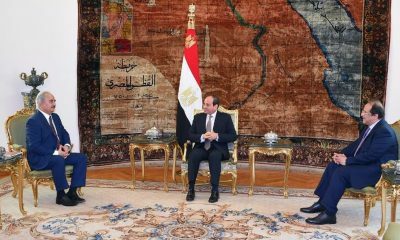 Egypt’s ultra-conservative Salafist front had called for protests on November 28 calling for ‘an Islamic revolution,’ aimed at ‘imposing Islamic identity’ in Egypt. Egypt’s police has arrested at least 145 since demonstrations, limited in size, kicked off across the nation.